The first round of Madrid is one of the busiest weekends of tennis with 32 first round matches. Ten were played on Saturday and a further 22 on a sumptuous Sunday of WTA action. Opening up Sunday’s Manolo Santana schedule was Angelique Kerber who scored a decent win over Timea Babos, 6-4 6-2. Aside from two sloppy games to drop her quickly earnt double break from *3-0 to *3-2 in the first set, Kerber played a sound match and was well supported by her serve with 67% first serves in and 78% first serves won. Babos got drawn into too many long rallies with Kerber able to exert her authority more and more as the match wore on. Kerber served out both sets in convincing fashion to secure a first win in Madrid since 2013!
. @AngeliqueKerber is through to the @MutuaMadridOpen Second round! Mirjana Lucic-Baroni and Maria Sharapova followed Kerber-Babos… the balls took an absolute battering! Lucic-Baroni was lethal on return and dictated many of the rallies, winning the first set, 6-4. However, with decent defence and improving service stats, Sharapova showed some impressive resolve to hold on for the second set against a resurgent MLB and then fly through the decider. Winning 4-6 6-4 6-0 in two hours and 12 minutes, Sharapova recorded the first three set win of her comeback. Sharapova’s press conference is linked below from the WTA’s Facebook page. In a rollercoaster match between Lauren Davis and Monica Puig, it was Davis who recovered from a collapse in confidence to seal the win in a third set tiebreak, 6-3 4-6 7-6(3). Davis had led 5-2 and served for the match at *5-3 in the third set – the American threw in a couple of terrible games as she barely found the court. She seemed to really be feeling the pressure as she was breathing heavily. A resurgent Puig, backed on by the crowd, won four games in a row to serve for the match. However, Davis responded with a stunning return game, breaking to love. In the third set tiebreak, Davis’s consistency topped an increasingly erratic, Puig. There was a nice exchange at the net! Davis fails to serve out the match at *5-3 but recovers her game and confidence to beat Puig in a 3rd set TB, 6-3 4-6 7-6(3) in 2h 48. One of the biggest surprises of the day was Zheng Saisai’s upset win of the number 11 seed, Elina Svitolina, 2-6 7-6(4) 6-3. Zheng Saisai saved two match points at *4-5 and *5-6 in the second set and then came back from 2-4 down in the second set tiebreak to force a decider. Svitolina normally resets very well after setbacks but Zheng Saisai maintained her aggressive play and despite sporting strapping on her right shoulder and leg, the Chinese player held her nerve to wrap up a huge win on her seventh match point. In fact, this was Zheng Saisai’s eighth consecutive win and her 20th victory in 23 matches having dipped back onto the ITF circuit. It’s been a very successful move from the Chinese player who won the $100k tournament in Anning towards the end of April and moves into round two of Madrid. Jeepers… Zheng Saisai saves 2 match points to beat Svitolina, 2-6 7-6(4) 6-3. Zheng Saisai currently riding an 8 match winning streak. In the match of the day and one of the longest of the entire year, Caroline Wozniacki outlasted Monica Niculescu in a three hour and 27 minute thriller, 7-5 6-7(5) 6-4. This is the most games that Niculescu has ever scored against Wozniacki having previously never got more than four games in any of the 14 previous sets they had played. Niculescu failed to serve out the first two sets at *5-4. On both occasions, Wozniacki tidied up her game to come back – she won the first set and then had a match point in the second. Credit to Niculescu for battling back and eventually winning her first set against Wozniacki by playing a sound second set tiebreak. 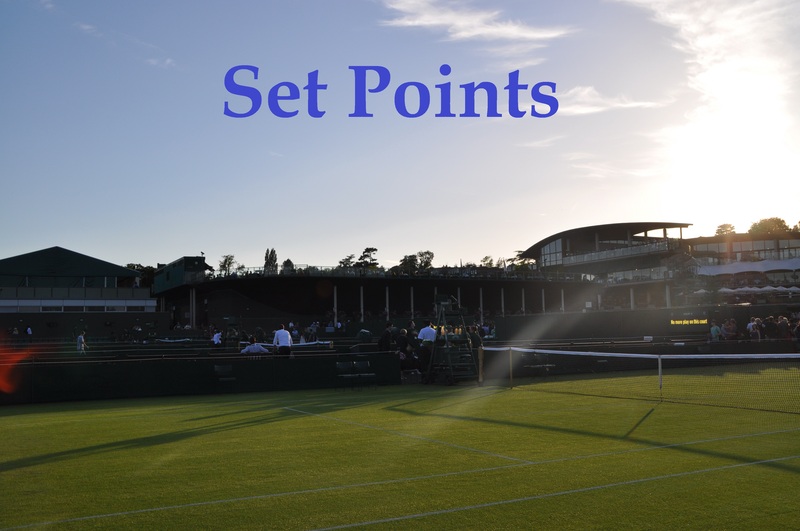 The third set was bundles of fun – Wozniacki battled through a shoulder injury and served out the match in style, producing a super point on match point. The match was almost unwatchable for a time in the second set. I forgot how awful the shadows are on the Aranxta Sanchez Vicario court! In a second set tiebreak where she broke a racquet, slammed the next one to the ground and screamed out loud after losing six straight points from 0-3 to 6-3, CoCo Vandeweghe regained her composure (kind of!) to see off Anett Kontaveit in straight sets, 6-4 7-6(7). Rollercoaster breaker: Vandeweghe goes 3-0, Kontaveit wins 6 straight, CV levels to 6-6 and nails great FH winner for MP. AK saves. 7-7. In another brutal contest, Barbora Strycova came from a break down in the third set to beat fellow compatriot and good friend, Lucie Safarova, 5-7 6-3 6-3. Strycova showcased some stunning defence as Safarova clearly tired towards the end. Note that Lucie pulled out of Prague last week due to illness. Strycova wins, 5-7 6-3 6-3 in 2h 33. Timea Bacsinszky scored her first ever win over Garbiñe Muguruza, winning the final six games of both sets to prevail, 6-1 6-3. I’m happy for Bacsinszky but this was a baffling performance from Muguruza. Her lack of emotion on court is almost disconcerting, particularly as she used to be very emotional on court. I hope everything is OK for Garbi off the court because this was a really shocking display. In an exciting conclusion on Pista 5, Sorana Cirstea ended Anastasia Pavlyuchenkova’s 10 match winning streak on the WTA tour in a 6-1 3-6 7-6(5) victory. There were some booming strikes at the end of the match from both players but Cirstea, buoyed by support from the crowd, was a touch more focused in the final set tiebreak. The final match of the day was a great contest as Dominika Cibulkova battled back in true Domi style to beat Jelena Jankovic, 6-4 5-7 7-5. It was another heartbreaker for JJ who actually played one of the best matches of her year, serving particularly well. Still, when it came down to the business end, Cibulkova was the more clutch, producing a big return and drive volley winner with Jankovic serving at *5-4 *30-30 in the third set. Cibulkova won the last four games of the match to win in two hours and 47 minutes. I love how involved the commentator on my stream was at the end and he kept making noises in between points 😂. Katerina Siniakova produced the most one-sided scoreline of the day, thrashing Pauline Parmentier, 6-1 6-0 in just 63 minutes! The qualifier, Qiang Wang beat Caroline Garcia, 6-4 6-3 to double her number of career clay court wins in the space of the last week. This was Garcia’s first match in over a month. The number eight seed, Svetlana Kuznetsova had a reasonably comfortable straight sets victory over Yaroslava Shvedova, 6-4 6-3. Oceane Dodin has won three matches in a row for the first time this year – she beat fellow qualifier, Andrea Petkovic in the first round, 6-3 6-4. At one set all, Ana Konjuh retired from her match with Kristina Mladenovic. Konjuh had won five games on the trot from 2-5 down to win the first set. CiCi Bellis scored another superb victory, defeating the #26 Daria Gavrilova, 7-5 5-7 6-2. This was Bellis’s 5th top 50 win of the year so far. Donna Vekic scored her second straight sets win over Yulia Putintseva, winning 6-3 6-4. Winning the last nine games, Carla Suárez Navarro mounted a superb comeback to win her first match of the week against Peng Shuai, 3-6 7-5 6-0. Peng Shuai was two points from winning the match having served for the match leading 6-3 *5-4. No fuss for Sam Stosur who dropped just two games against Sara Sorribes Tormo. This was a repeat first round match-up from Madrid last year where SST only won four games last time round. Mariana Duque-Mariño secured her first top 50 win of the year, beating Julia Goerges, 6-3 6-4. The defending champion, Simona Halep dropped just three games against Prague finalist, Kristyna Pliskova. From a set down, Johanna Larsson came back to beat the Rabat finalist, Francesca Schiavone, 5-7 6-3 6-1. Such a tough ask for players who were competing in finals yesterday. Official reason for @anakonjuh’s retirement earlier today: left abdominal injury. Eugenie Bouchard scored her first win on the WTA tour since the Australian Open, beating Alizé Cornet, 6-4 4-6 6-1. Alison Riske condemned Viktorija Golubic to a fifth consecutive loss – the American posted a 6-2 6-4 first round victory. Misaki Doi snapped a five match losing streak with her career best win, a first top ten win over the number nine seed, Madison Keys, 6-4 4-6 6-4. Finishing at 2:17am (!!!) Laura Siegemund knocked out the number six seed, Johanna Konta, 3-6 7-5 6-4. The scheduling in Madrid is an absolute farce, one of many reasons why I never really enjoy this tournament. In a befuddling WTA-classic scoreline, Roberta Vinci beat Daria Kasatkina, 6-1 1-6 6-1. Kiki Bertens scored an excellent win over Ekaterina Makarova, 6-1 7-6(4). Irina-Camelia Begu secured the best win of her year so far by ranking, defeating the number 12 seed, Elena Vesnina, 6-4 6-4. Lara Arruabarrena recovered from a 4-6 0-4 deficit (!) to beat Christina McHale in three sets, 4-6 7-6(1) 6-2. Poor Christina has lost her last four matches on tour, but credit for the classy handshake. Anastasija Sevastova needed less than an hour to see off Zhang Shuai, 6-4 6-2. Karolina Pliskova stepped ahead to 3-2 in her head-to-head with Lesia Tsurenko after a hard fought three set win – Pliskova prevailed, 7-6(2) 2-6 6-2. Tuesday’s order of play in Madrid features only seven second round matches including one of the most anticipated matches of the year so far with Eugenie Bouchard taking on Maria Sharapova in the night session. A preview of the match is now up on the blog. May 7, 2017 in Madrid, Set Points, WTA. Moo– you need a Sharapova vs Bouchard—– handshake–no handshake—pole. Tough one for Svitolina, but I’m liking how the draw is opening up for Kuznetsova to make a good run here! I did fancy Pliskova to win the title, but I’m unsure now after that scrappy first round match. Five hours! Playing matches always gives me renewed respect for the professionals. Yeah I did an hour of rallying in a group, played a set of doubles, then a set of singles then played a 3 set match against somebody else… just got a tad carried away! Blimey that’s quite some day. I know the feeling of getting carried away, I always just want to keep playing and then regret it the next day when i’m aching all over! Battle of the two pushers.